Three top quality pink to lavender pearls. 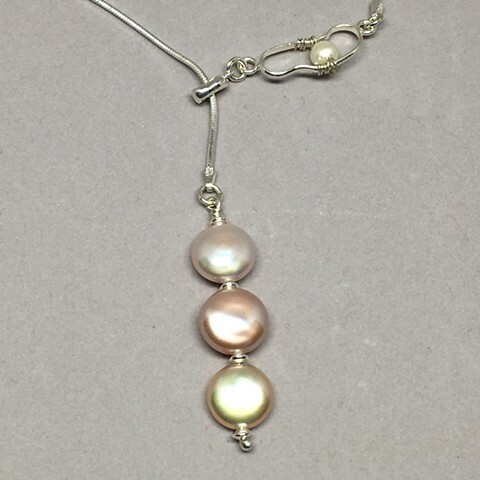 These pearls are rated AAAA and are of the very best quality, on a sterling silver snake chain lariat. 26" long.